My hero is Abraham Lincoln. He was born in Knob Creek, Kentucky on Sunday February 12, 1809. Lincoln married Mary Todd and had 4 kids. It was April 15, 1865 when President Abe Lincoln was assassinated by John Wilkes Booth; he was in a theater at the time. 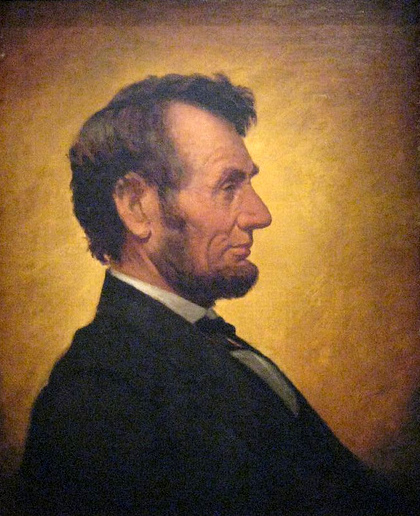 Abraham Lincoln’s mom died when he was just 9 years old. Later on in life Abe became a politician and a lawyer. He also led the Civil War which freed all the slaves. He made a law that you couldn’t own a slave. Another accomplishment that Lincoln made was that he was the 16th president of the United States. Lincoln wrote the well known Gettysburg Address, the speech that honored those lost in battle. Honest Abe was selfless because he put the slaves before himself and guided the United States during the Civil War to free the slaves. He had intrepidity because he was fearless and strong when he led the Civil War and never gave up. He also had conviction because he had a strong belief that he could free the slaves and he never doubted it. Abraham Lincoln is my hero because he inspires me to do well. If he wasn’t President then I probably wouldn’t know some of my friends because they are black. He will always be my hero.